I should change the name of my blog to IT'S TEXAS TIME AGAIN...because lately that seems like the only thing I blog about. 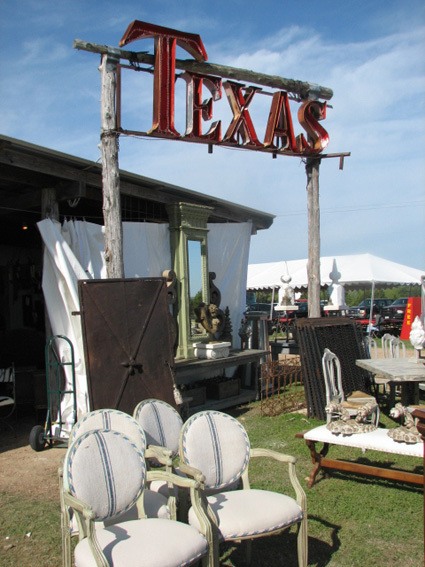 The famous "TEXAS" sign at Marburger Farms. So the Spring show is fast approaching. I hit the road on Monday, March 19th, headed West, making my way to "The Greatest Show on Dirt". I'm sure Debbie at Talking Trash won't mind me using that, since I will be a field neighbor to her this time at Zapp Hall. 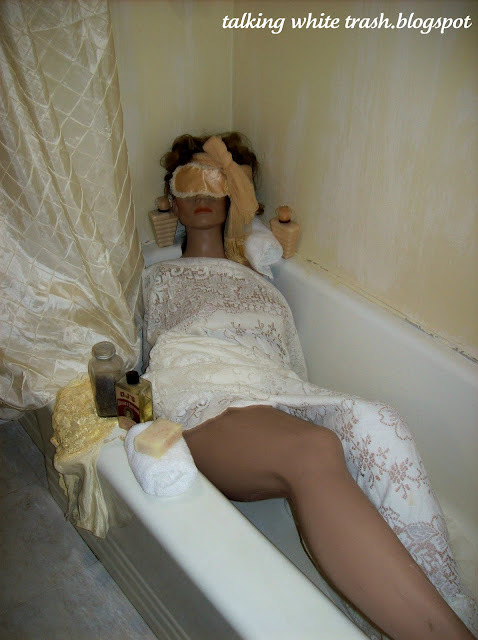 This is Sweetie Pie, Debbie's "alter-ego" displaying how we all feel, well at least I know I do, after a long hard day "in the field". This show will be a little different for me. I won't be setting up at The Texas Rose like I had been at my previous shows. I will be, DOWN ON MY KNEES, BEGGING, Vicki to make me some of the most gorgeous HOT PINK soup I have ever seen. Creamy beet with roasted pepper creme' fraiche. Ok......so when I first heard the word BEET, I was like no way, not this girl, YUCK! But then, I opened my mind and my mouth and the Angels sang......DELISH! I die-gress.....back to the show. which she will do again this show. BUT, we are also going to set up at ZAPP HALL! I am so freaking excited!!!!!! whose couch, floor, yard I will be sleeping on in. Just kidding.....she said I could come in if it RAINS! bug the crap out of visit with old ones. And whatever the HELL else I want to do. All while working on my best pair of "GROCERY STORE FEET"! Look out Round Top here I come. Thanks Theresa. I can't wait!